The subject of study consists of 96 folios professionally bound into a rounded spine, its detached front and back covers, and fragments which include part of a table of contents which may never have been attached to the body of the present manuscript. The main body of the copybook is in an oblong format measuring 21.5 cm by 19.5 cm. Its spine is 2 cm wide and consists of 6 raised cords under silk covered leather. The manuscript covers consist of a stiff, smooth cardboard which now obscures the original leather-silk covering over a pressed paper foundation. The inside covers consist of buff colored paper over a pre-existing colored lining paper which now forms a highly irregular surface. These inside covers bear signatures, caricatures and scribbles. The manuscript shows evidence of 14 folio gatherings of irregular size, consisting of from 2 to 17 folios per gathering. There appears to be no correlation between these irregularities and variations in subject matter, watermark groupings, or scribal activity. There is evidence that several folios are now missing from the manuscript. 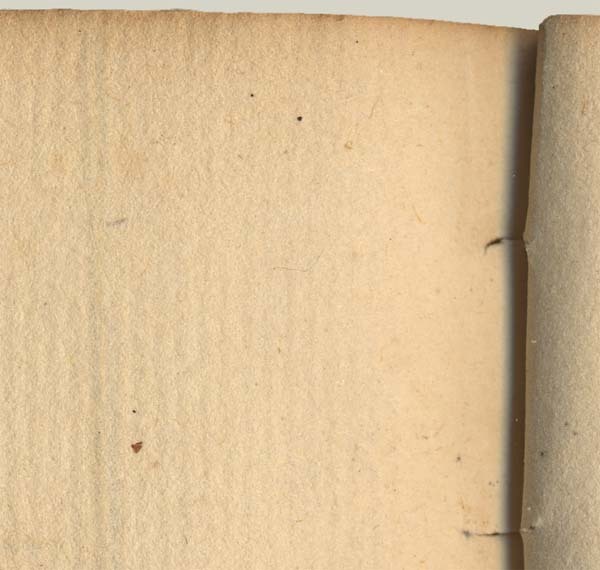 Gathering 1, which consisted at one time of 10 folios, has been cleanly sliced from the manuscript. There is no ink evidence that would help determien what these folios once contained or why they were removed from the manuscript. All 8 folios from gathering 2 have accidentally pulled away from the manuscript. But all of these are accounted for in the 8 located fragments found with the copybook. The paper bears watermarks and countermarks from two separate molds. Chain lines, usually 8 per page, reinforce in a vertical fashion in relation to the watermark. They are placed 2.6 cm apart. Laid lines are 22 to the inch. The watermark is a form of Brittannia mark common in late 18th century English stock. It is accompanied by a countermark, "GR" with a crown. Both molds employ this water and countermark and the spacing between chain and laid lines is similar though not identical. Whether the mold side is utilized for the verso or recto of the folios, the watermark and countermark are placed in the center of the folios usually with their tops pointing toward the spine. The paper quality is exceptional. It shows few imperfections in consistency of color, weight or feel. There is however, the presence of a few folios with a coarser, webbed surface. These include the fragment which is folio 2 of Gathering 2 (G2 f.2), the last folio of the manuscript (G14 f.5), and an internal folio (G3 f.5). What is left of the edges of G1 f.1 & 2 and G2 f.1 also seem to have been of this paper type. Except being slightly grayer in color, they still bear watermarks consistent with the surrounding folios. These anomalous folios are not uniquely connected in any way. Several inks are used in the manuscript copy. The primary color is a rich, dark black which almost invariably records the notation and block titles for pieces where they appear. Black ink appears most consistently on the verso of folios. Brown ink is also used, usually recording text and more often the script titles as opposed to those in block letters. It is most often found on the verso sides of folios. Two shdades of red ink are utilised in 3 folios, usually to embellish ornate titles such as "Yanky Doodle" (G3 f.1r) and the "Chorus for the Hearts of Cak" (G9 f.12v). Red ink is also used for stave lines and note heads, as in "Yanky Doodle" and "Sweet Poll of Plymouth" (G4 f.5v). Very often, blac, and brown inks are used in conjunction with one another -- the brown ink providing an outline for stems and noteheads, with the darker ink used to fill in the hollow note. The layout of material on the page varies from folio to folio. All verso sides are used, but several recto sides are found blank, most conspicuously in the latter gatherings. In addition, recto sides more often record text exclusively than do the verso sides. There is no reason to believe that a rastrum was used in the drawing of any staves. Inconsistencies between the overall size of staves and the distances between their lines can vary greatly even on one side of a folio. Line ends are equally as irregular. Pages, which are usually full if they have been written on at all, can contain as many as 8 staves to a side. The arbitrary size of staves can be related very often to a concern for aesthetic appeal. Small amounts of material will be expanded to a larger format in order to fill an entire page. It appears that a straight-edge was employed to draw individual stave lines, and was also used as a guide to keep most of th etext and titles straight. Bar lines are often measured and even the distances between noteheads seem too consistent to have been entered without a measuring device of some sort. A straight-edge was also employed in the drawing of vertical stems and eighth note bars. The identification of scribal hands is complicated by the irregularities in format. An expansion of format is usually accompanied by an expansion of script size which may render the same scribal hand almost unrecognizable. An obvious concern with the aesthetic appeal of the copy that is evidence in the manuscript further complicates matters. The meticulous detail, precision design and calligraphic variety appear to have been preconceived determinations that were consistently employed. The ability for the scribe to subdue personal script idiosyncracies has presented a copy so accurate that it could be mistaken for being professionally engraved. This would obscure the fact that seemingly different hands might in fact belong to only oen scribe who had an eye for caligraphic design. Still more confusing is the fact that 3 out of the 4 hands which are apparent after a preliminary appraisal may belong to one scribe whose hand evolved over a long period of time. The contents of the manuscript consist of approximately 85% secular music and 15% sacred tunes. The sacred pieces are found almost exclusively in the 3rd and 4th Gatherings, and they have the distinct look of having been copied from printed tune books, for they transmit reversed note stems, "g's" clef signs, and irregular key signatures idiosyncratic of the early printed editions. The secular tunes are a collection of popular fiddle tunes and ballad opera selections, most of which are easily recognizable. The scribes almost exclusively transmit only the treble of the tune. In only a few cases are the bass lines attached in keyboard score fashion (G9 f.5v and G11 f.6v). Only on 2 folios does the scribe transmit a suggestion for instrumentation (G10 f.6r: "for the voice...for the violin," and G8 f.7v: "german flute"). The dating of the Henry Livingston, Jr. MS, because of its immense size, its inherent contradictions, and its unusual variety, must rest on the consideration of all of these physical characteristics. Through them the possible ownership and purpose of the manuscript might also be ascertained. However, the interrelationship between these characteristics must be comprehended before conclusions can be made concerning the manuscript's origins. There does not appear to be any significant correlation between a change in paper stock and the gathering structure of the manuscript. Although the 2nd mold stock of paper begins to be utilized in Gathering 8, it is not used exclusively and folios from both paper stocks are often found within the same gathering. A variety of hands is witnessed throughout the manuscript. However, there is a profusion of pieces recorded in an uncontrolled script in the latter gatherings, as well as an unusual number of recto sides left blank. It is difficult to discern which scribes may have been responsible for the two sets of pagination, for the texts rarely record numeration. A comparison of inks and script styles, however, reveal a possible correlation between the scribe responsible for much of the text recording and pre-paginated numeration. The brown ink and flowing script style is similar. Scribe 1: The first hand which appears in the manuscript is characterized by a strong stroked clef. This hand occurs most often on the verso sides of folios and is accompanied by acutely leaning sharps in the key signatures. The ink is invariably of a darkened hue and is used for notation, clefs, staves and titles. Titles vary from block letters to flowing script, and there are equally variegated numbering styles for time signatures. Eighth note barring can be curved or straight. The text is usually elegant and flowing, and this scribe keeps lines and text straight by line guidelines drawn under these. It should be noted that these three hands occur in close proximity to one another -- often on the same page. They also all occur in the early gatherings of the MS.
Scribe 4? : A possible fourth hand reveals a lighter clef sign -- a weaker, though equally as stylized a script as that of Scribe 1. It is more often found on the verso sides of folios in brown rather than black ink (G7 f.lv). The close proximity of different hands can be viewed on G4 f.lv and G9 f.7r and 8V records different hands for two sets of text in "Auld Robin Gray:"
A perusal of available watermark catalogs has not revealed an exact match for the watermark in the Livingston MS. The attitude of the figure and some amount of detail resemble a watermark found on a survey of Kent, England, produced by T. Philipott in London, 1776.9 But several important factors, such as the "Pro Patria..." text which encircles the figure, and the ornamentation which surrounds the countermark are missing. The evidence is far too tenuous to provide a positive identification. Therefore, the dating of the paper must remain speculative until a comparable watermark can be found. There may have been more than one period of binding and cover construction. The original covers appear to be pressed pasteboard upon which leather or some other sort of animal skin was attached. The inside covers seem to have been covered with a colorful patterned paper at one time. But it was later glued over by plain white or buff colored paper. The colorful paper now shows through in places revealing a marbled orange, red, blue, purple and green surface. The original leather was covered over with a deep brown silky material which overlaps onto the buff colored inner cover paper. This likely occurred at a later period of construction, since it would have been unusual for the binder to have wasted his ornate paper by covering it over with the plain buff in the initial construction period. Another curiosity is apparent. The colorful paper is most apparent on the edges of the inner binding, appearing as uniform stripes about its perimeter. The significance of this evidence is difficult to ascertain. The only thing that we can be certain of is that the paper arrived in this country as loose folios. One might then speculate that some of the folions were gathered into a fascicle, pre-paginated, and music was added to some of these folios. A table of contents was also compiled. At some later time, the owner wished to expand teh fascicle by adding other folios. Perhaps because of the large size, he chose to have it bound in leather with an ornate inner binding. Still later, and perhaps because the leather cover was becoming worn, the owner chose to cover this with cloth while at the same time altering the inner binding cover by removing and replacing the ornate inner lining with buff colored paper. Only then were the signatures inscribed. One wonders why the inner binding may have been altered. Was it performed to remove other signatures and inscriptions of a previous owner? Or perhaps the inner section simply fell off. More likely, the owner wished to sign the volume which could not be done on a colorful paper. So in the course of covering the leather, he directed that buff colored lining paper be added. The marbled lining may have been sliced away in order to provide a better surface upon which the new lining could adhere. An evaluation of the materials used in the binding lends further credibility to the theory that this manuscript dates from the last few decades of the eighteenth century. During the Revolutionary period, materials for bookbinding were scarce. Pasteboard only became readily available in this country at the close of the eighteenth century. 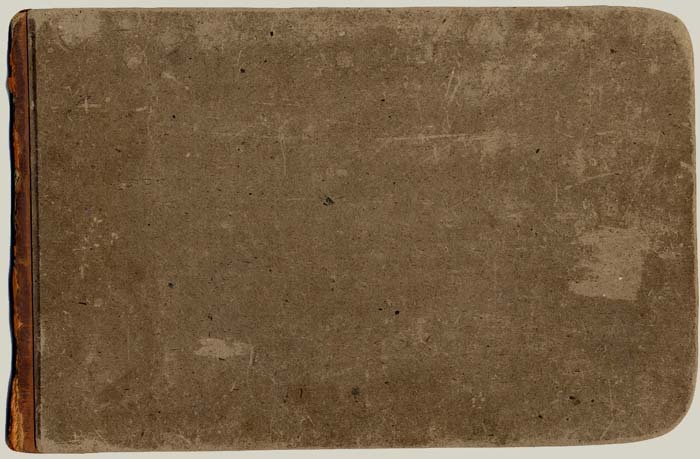 Prior to this only scabboard -- very thinly planed wood -- was used.10 By 1783, all of the materials needed for bookmaking were available in the United States. By the close of the century, marbled linings had become common. 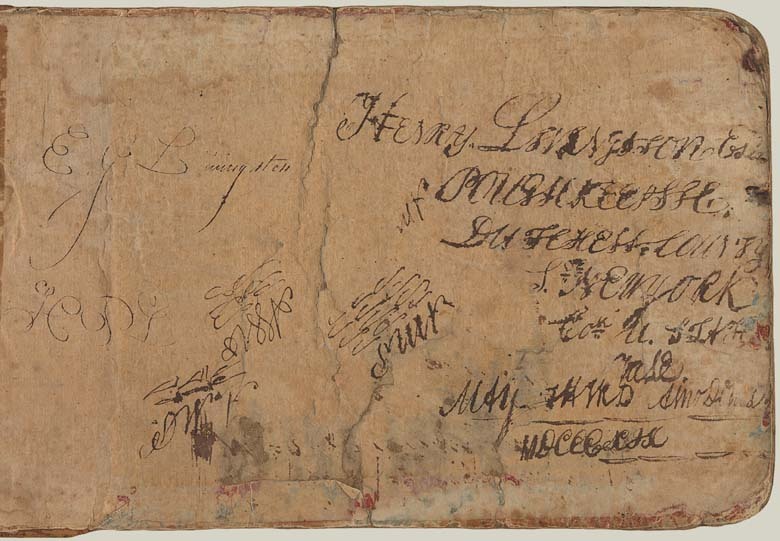 The inner lining paper of the front cover reveals a signature by "Henry Livingston." It is accompanied by two caricatures. 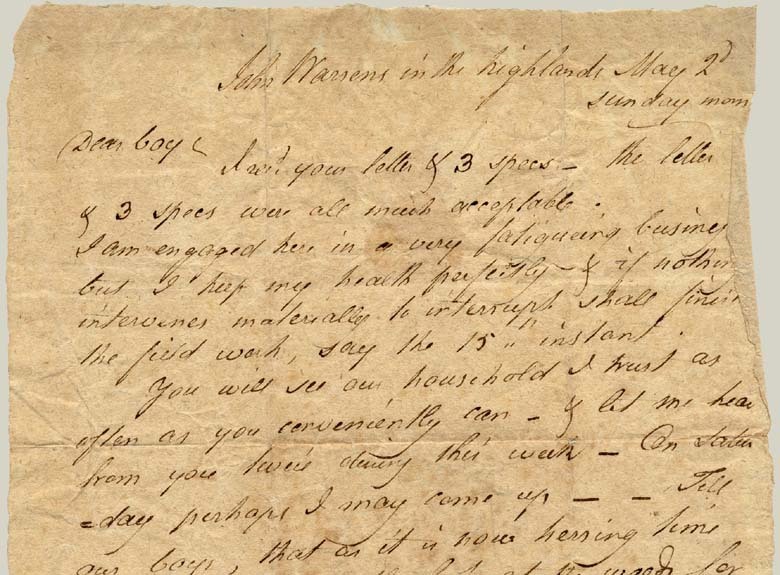 The date apparently translates to May 25, 1819, which is within 9 years of the death of Henry Livingston, Jr. At the age of 72, it is possible that the elderly Livingston might not have been able to replicate the handwriting which appears at the beginning of the manuscript. Still there are several factors which suggest that the former signature might not be his. If we accept that the original binding and paper stock can be used to suggest a tenative dating for the manuscript as the latter decades of the eighteenth century, then this places the manuscript well within the lifetime of the father of Henry Jr., Henry Livingston, (1714-1799). The fact that the signature in the front cover appears without the "Jr." appellation lends further credibility to this theory since Henry Jr. only lost that appellation after his father's death.12 There is, however, a correlation between the odd figure which follows the signature and the use of those same symbols which appear in the signature at the end of the manuscript. Only in this way are the two signatures connected. The fact that other signatures are found in the MS might strength the theory that the item provides a family record. The signatures of E.G. Livingston and H.P.L. might have belonged to two of Henry Jr.'s children by his second marriage. Edwin and Helen. Since the record here is so complete, perhaps Henry Jr. was concerned that the proper ownership of this family heirloom might be mistaken and he requested that the signatures be witnessed by his children. 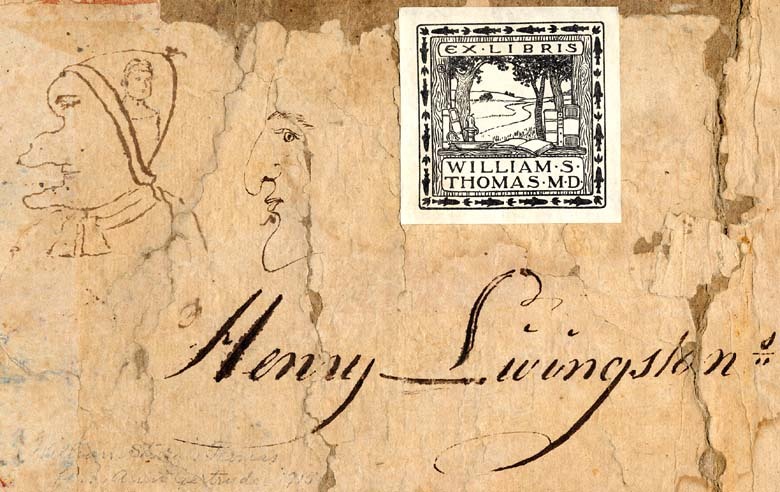 There is little material available on Henry Livingston. A daybook has been located which records business transactions at the Locust Grove farm between 1771 and 1789. It was definitely recorded by Henry Jr., and although there are considerable gaps in time when major events took place in his life (his wartime service in 1775, and his first wife's death in 1783) there is little personal mention of those except for the expenses they incurred.15 A diary was kept during his wartime service, but there is no special mention of his interest or activity in music. If Henry was in fact musical, it seems odd that this interest would remain hidden, unless of course, this interest began after this time. Attributions in the manuscript may provide some insight into the origins of the subject matter as well as the manuscript date. G14 f.lv bears the signature "Henry" in the lower right hand corner and the style of the "H" is similar to the style recorded in the back cover signature. Indeed, the carefully metered rhyming lines are exactly within Henry's literary style. This may indeed represent a piece of original music, with Henry, Jr. possibly acting as both composer of music and text. A signed attribution such as this lends strong evidence that Henry, Jr. may have been musical after all and that he was scribe 1 -- the main scribe. The gatherings which include psalm tunes are instead in the hand of Henry Jr., and might represent the practical needs of this scribe. Henry acted as deacon of the First Reformed Church in Poughkeepsie from at least 1777 to at least 1787.20 Typically, the clerk or deacon would be responsible to lead the congregation in song.21 Perhaps Henry Jr. prepared a performance fascicle for his own use -- a small collection of psalm tunes which could assist him in the Sunday service. If this is indeed the case, we may place the origins of the psalm tune gatherings sometime between 1777 and 1787. Despite the confusion surrounding the gathering structure and pagination, it appears that the larger part of the MS was copied continuously and that later additions probably occurred within close chronological proximity to the initial layer. Also, it seems as though the scribes, for the most part, were active concurrently. The fact that every verso of the folios contain music or text, and that several recto sides remain empty or only partially filled suggests that the scribes preferred to utilize only the verso of folios in the first layer of copy, the recto sides being reserved for the transcription of textg when appropriate. As the verso sides became filled, the scribes began adding material to the recto sides. We can surmise, therefore, that the verso sides of folios generally tranmsmit an earlier layer of copy than do the recto sides. Further, the initial gathering grouping (G1-G4) which includes the psalm tune layer, probably transmits an earlier layer of copy than do the latter gatherings, despite the ill placed folio "49." A preliminary appraisal of subject matter in the first few gatherings reveals correlations with music and text incipits from other eighteenth century manuscripts rather than printed sources. If this habit should persist throughout the manuscript, it would suggest that performance variations unique to this geographic area are recorded in these manuscripts and that they were copied freely from one another.22 Notational idiosyncracies intimate that most of these tunes were first copied from published sources. The main scribe at work in the manuscript is almost definitely Henry Livingston, Jr. who transmitted most of the text and probably the notation as well. But until his musicality can be witnessed by an outside source, he must remain only as the transmitter of text. Since we have evidence of Henry's uncontrolled script in his signature, there may be some correlation with the shaky script of Scribe 3. It may in fact represent scribal activity by Henry at an advanced age. Indeed, the similarities in the profiles recorded on the front cover are striking. The long nose and jutting chin in both profiles are visually compatible. Perhaps Henry was adding a personal mark at two times during his lifetime. 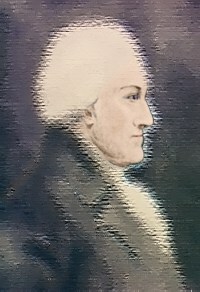 A profile of Henry Livingston, Jr. from a portrait is provided for comparison in Appendix IV. The care in the preparation of the format, and the rendering of a clear, ornate, and aesthetically pleasing copy, when considered along with the unusually rich craft of the binding and covers, suggests a preservation mentality on the part of the owner/compilers. Although probably intended as a functional item there was an obvious concern in its preparation that it should be protected to endure over time. Although the questions concerning paper stock, binding, and pagination remain unsettled at the present time, their combined consideration suggests a compiling date of the 1780's and 1790's for the main body of the manuscript. 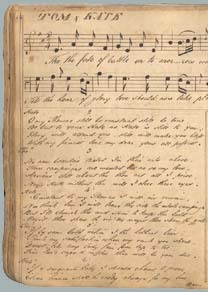 The psalm tune layers, as has already been mentioned, may date from as early as 1777. These dates are reinforced by the identification of subject matter which originates from these decades, as well as the knowledge of the main scribe's whereabouts and activities during this period. This was Henry's most prolific artistic period and his poetry and artwork appeared in publications between 1784 and 1794. It is certain that a more thorough analysis of the contents of the Henry Livingston, Jr. manuscript will further clarify the date. In the meantime it would appear that a tenative dating of the 1780's and 1790's seems acceptable. Hollow letter L identical to L on page 2 of the music manuscript book. Both John Nadas' "The Structure of MS Pachiatichi 26 and the Transmission of Trecento Polyphony," (JAMS XXXIV, 1981) and Margaret Bent's "The Old Hall Manuscript: a paleographical study," (PhD. dissertation, Cambridge 1968) are two such studies in which these extramusical factors became the cornerstone of the study and lent further credibility to the conclusions. Out of the 68 manuscript sources selected and recorded as representative examples of 18th century secular music in the National Tune Index (New York, 1980), only two are as large as the Livingston manuscript and most are typically less than half the size. Robert Livingston (1654-1728), the first Lord of the manor and Secretary to the Commissaries of Albany and Secretary of Indian Affairs, bore three children, Robert, Gilbert and Margaret. Gilbert (1690-1746), who was Registrar of the Court of Chancery in 1720 and Lt. Col. of the Provincial Militia, bore 5 children -- Robert Gilbert, Henry, Gilbert, James, and Johanna. Henry (1714-1799) was the County Clerk of Dutchess County, New York during 1742-1789 and acted as a member of the Assembly for Dutchess, 1759-1768. He bore 4 sons -- Gilbert, Robert H., John Henry, and Henry Jr.
Henry Jr. (1748-1828) is the reputed owner of the present manuscript was supposed to have it in his possession until the time of his death. It then passed to his wife, Jane Patterson. Jane Patterson married John Thomas, a surgeon in the 9th Massachusetts Regiment, who had settled in Poughkeepsie after the Revolution. They had 5 children, one of which was Henry Livingston Thomas. The manuscript then proceeded to his son, William Sturgis Thomas, who published an article on his ancestor in vol. 5 of the Dutchess County Historical Society Yearbook of 1919. It finally passed to his son, W. Stephen Thomas, who is presently in possession of the article. Scholars estimate the intervals between the dates of the making and using of paper as not to exceed five years. See Edward Heawood, Watermarks, Mainly of the 17th and 18th Centuries (Hilversum, Holland, 1980), 31, and Jan LaRue, "The Classification of Watermarks for Musicological Purposes," in Fontes Artis Musicae XIII (1966), 60. The reader should be reminded that the numbering of the mold is only an aid to reference. Mold 1 is not necessarily the older of the two molds. See Lyman Horace Weeks, A History of Paper-Manufacturing in the United States, 1690-1916 (New York, 1916), 78, 98. Weeks, op. cit., 65, 78. See also Dard Hunter, Papermaking in Pioneer America (Philadelphia, Penn., 1952), 57. Heawood, op.cit., Plate 31, no. 205. Refer to Appendices I and II. See Hannah French, "Early American Bookbinding by Hand" in Bookbinding in America, ed. Carol and Willman Spawn (New York, 1941), 13. Hannah French cites these innovations and suggests the date of 1783 as the time in which all materials were available in the United States for professional bookbinding. See op. cit., 49, 56, and 57. See William Sturgis Thomas, "Henry Livingston," Dutchess County Historical Society Yearbook V (1919), 32-45. Cornelia Goodrich, in a typescript given to the Dutchess County Historical Society in 1921, claims that Henry Jr. preferred the flute, but gives no documentary evidence for this. See item 316 of the Livingston holdings of the Historical Society. Helen Wilkinson Reynolds also offers no proof in her article "The Writings of Henry Livingston," Dutchess County Historical Society Yearbook XXVII (1942), where she claims that Henry played both violin and flute, 87. The Henry Livingston Jr. Daybook covers a period from 1771 to 1789 and is more an account book than a diary. It is presently held in the Rare Book and Manuscript Division of the New York Historical Society. 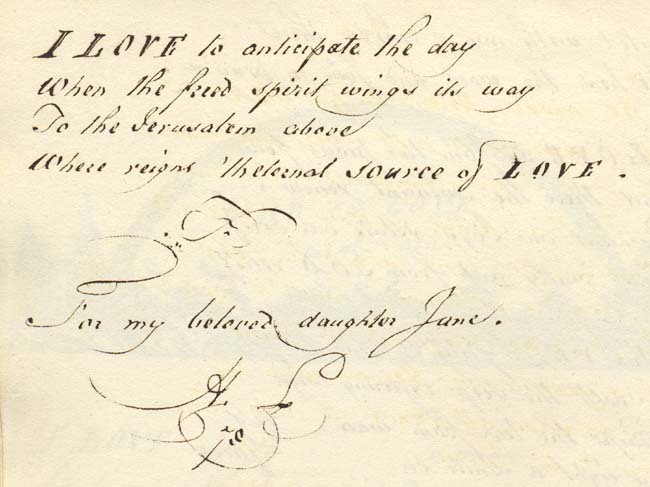 The reader is referred to Appendix III -- two pages of Henry Livingston Jr.'s handwriting taken from the autograph versions of his poetry collection. Concerning the authenticity of these examples, the reader is directed to Thomas, op.cit., 41, 42. They can be compared to representative folios selected from the body of the manuscript G5 f.lv, G9 f.4r, and G14, f.lv. See Ebenezer Baldwin, The Annals of Yale College from its Foundation to the Year 1831 (New Haven, 1838), 141. It should be noted that the Rev. Timothy Dwight was the nephew of Henry Livingston, Jr.
See Rev. John H. Livingston, ed. The Psalms of David with Hymns and Spiritual Songs (New York, 1789). 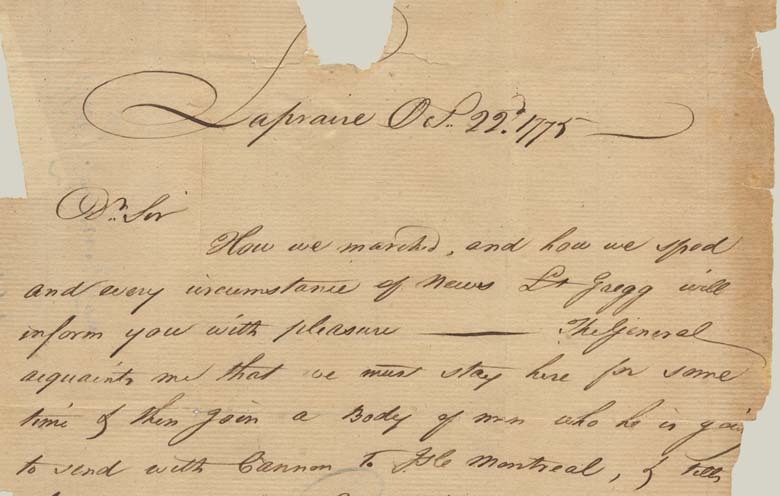 Three letters originating from the hand of John Henry Livingston were consulted, dated 1778, 1786, and 1792. These are preserved at the Manuscript Division of the Yale University Library. See the Consistory Records of the First Reformed Dutch Church at Poughkeepsie, 198 and 243, for the years mentioned. The rendering of tuneful sacred music was a concern in Poughkeepsie as early as 1773 and at least until 1800, it was the function of a clerk to lead the congregation in song and responses. See Helen Wilkinson Reynolds, The Records of Christ Church, I (Poughkeepsie, 1911), 199. It is notable that out of 500 sources utilized in the National Tune Index (Cf. 2) the Livingston manuscript is most often associated with one of the 68 manuscript sources rather than the several hundred remaining published sources included in the index. Baldwin, Ebenezer. The Annals of Yale College from its foundation to the year 1831. New Haven, 1838. Bent, Margaret. "The Old Hall Manuscript: a paleographical study." PhD diss., Cambridge, 1968. Churchill, W.A. Watermarks in Paper in Holland, England, France, etc. in the XVII and XVIII Centuries. Amsterdam, 1935. Dexter, Franklin Bowditch. Biographical Sketches of Yale College with the Annals of the College History. New York, 1896. First Reformed Dutch Church of Poughkeepsie, New York. Consistory Records, 1760-1830. French, Hannah, "Early American Bookbinding by Hand," in Bookbinding in America, Carol and Willman Spawn, eds. New York, 1941. Goodrich, Cornelia, unpublished typescript. Item 315 Livingston housed at the Dutchess County Historical Society, Poughkeepsie, N.Y.
Gravell, Thomas and George Miller. A Catalogue of American Watermarks. New York, 1979. Greenwood, David and Helen Gentry. Chronology of Books and Printing. New York, 1936. Heawood, Edward. Watermarks, Mainly of the 17th and 18th Centuries. Hilversum, Holland, 1969. Hunter, Dard. Papermaking in Pioneer America. Philadelphia, 1952. Holgate, Jerome. American Genealogy. Albany, 1848. Johnston, Henry P. Yale and Her Honor Roll. New York, 1888. La Rue, Jan. "Abbreviated Description for Watermarks," in Fontes Artis Musicae IV (1957). ---"Classification of Watermarks for Musicological Purposes," in Fontes Artis Musicae XIII (1966). Livingston, Rev. John H. ed. The Psalms of David with Hymns and Spiritual Songs. New York, 1789. 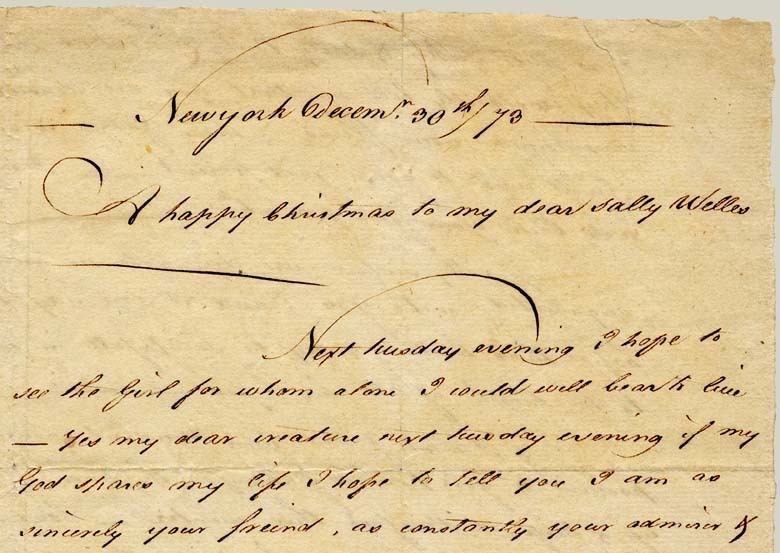 ---Letter to Stephen Van Rensselaer dated July, 1792. Livingston, Henry Jr. Day Book 1771-1789. Manuscript housed at the New York Historical Society, Manuscript Division. ---Poughkeepsie Field Book, 1797-1798. Manuscript of personal field survey, preserved at the New York Historical Society Manuscript Division. ---Field Book, 1800. Manuscript of field survey preserved at the N.Y. Historical Society Manuscript Division. Matthews, William F. Bookbinding: a manual for those interested in the craft of bookbinding. New York, 1929. Nadas, John. "The Structure of MS Pachiatichi 26 and the Transmission of Trecento Polyphony," in Journal of the American Musicological Society XXXIV (1981): 393-427. Osley, A.S. ed. Calligraphy and Paleography: Essays Presented to Alfred Fairbanks on his 70th Birthday. London, 1965. Powell, Leona M. The History of the United Typothetae of America. Chicago, 1926. Rabson, Carolyn and Kate Van Winkle Keller. The National Tune Index. New York, 1980. Reynolds, Helen Wilkinson. "Editorial Notes on the Writings of Henry Livingston." Yearbook of the Dutchess County Historical Society, Poughkeepsie, N.Y. vol. XXVII (1942): 85ff. ---The Records of Christ Church. Poughkeepsie, N.Y., 1911. Shorter, Alfred. Paper Mills and Paper Makers in England, 1495-1800. Hilversum, Holland, 1957. Thomas, William Sturgis. "Henry Livingston." Yearbook of the Dutchess County Historical Society, Poughkeepsie, N.Y. vol. V (1919): 32-45. Weeks, Lyman Horace. A History of Paper-Manufacturing in the United States, 1690-1916. New York, 1916. Wolfe, Richard J. Early American Music Engraving and Printing from 1787-1825 with Commentary on Earlier and Later Practices. Urbana, Ill., 1980.